Along with painting up the Royal Canadian Regiment (which I’ll be posting pictures of in a separate post shortly after this) I painted up a few other odd extra bits this past week. All of the figures are from Great War Miniatures. Some will likely be Brigade and Divisional officers… some are just spare infantrymen that I had and decided to paint up for giggles. These chaps will form the 9th Brigade or 3rd Division’s command elements. 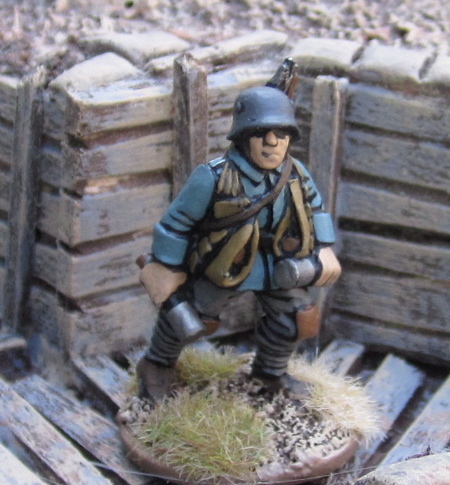 A solitary spare German infantryman. I like the top brass and the stormtrooper I really like your barbed wire as well. Guess I'll need to be making some MORE soon!